18 Sep It's that time of year again in Iceland, the annual baby puffin, or puffling, rescue in the Westman Islands. 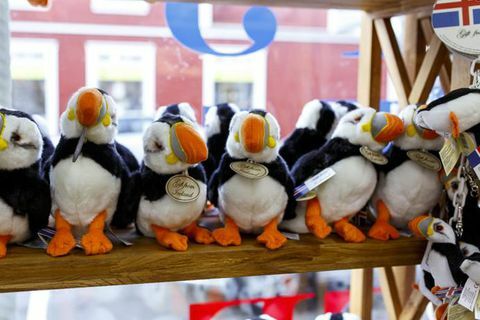 16 Sep 2017 Tourists are spending less money in Iceland and the puffin shops are the ones hit the hardest. 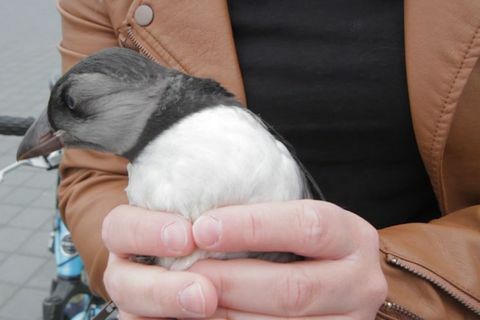 25 Aug 2017 A puffling wandered into Skúlagata, a busy seaside street in the Reykjavik city centre last night. 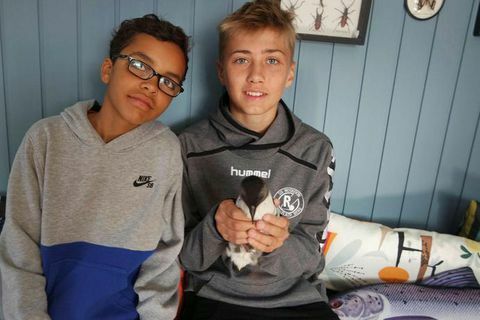 It's exremely rare to see pufflings in Reykjavik and this one was lucky enough to end up in the safe hands of SAR team member and Westman Islander Ármann Ragnar Ægisson who found it. 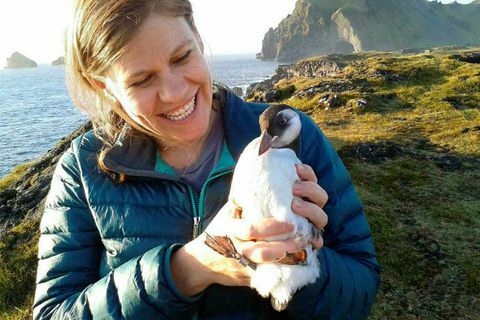 24 Aug 2017 It's that time of year again in Iceland, the annual baby puffin, or puffling, rescue in the Westman Islands. 9 May 2017 The port at Drangey Island in North Iceland is being rebuilt after winter storms. 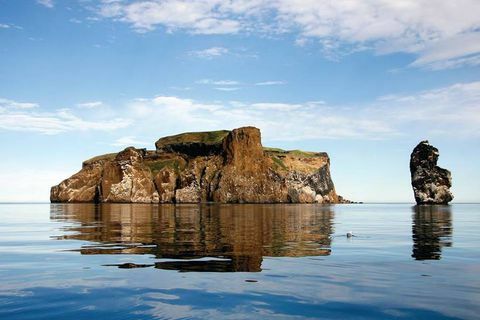 Drangey is one of the biggest colony of puffins in the area, and a popular destination to explore nature for both local and foreign tourists. Locals from the area also visit the island to gather eggs and hunt. 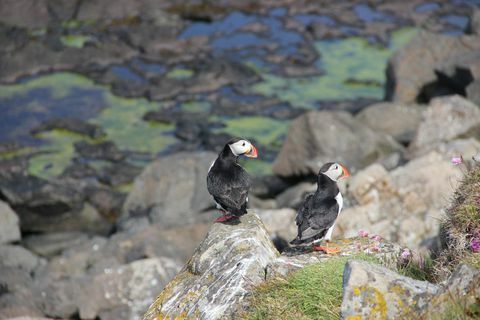 18 Apr 2017 First puffins of the summer have arrived in the Westman Islands. They were first spotted in the sea by the islands on Easter Sunday, and later in the evening they arrived at shore. 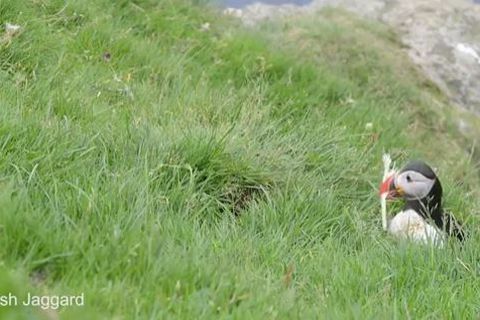 19 Sep 2016 Puffins make burrows lined with grass, leaves and feathers for their chicks, known as pufflings. 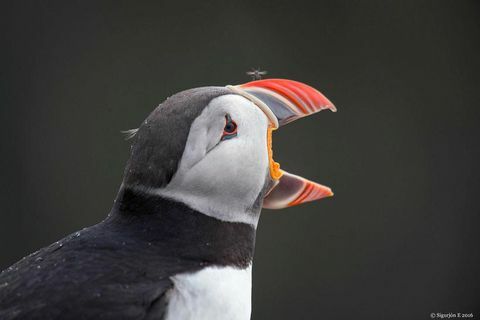 Nature photographer Josh Jaggard captured one slightly silly puffin trying to get a large feather into his nest. 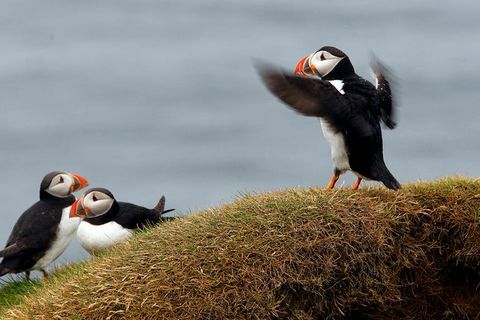 22 Jun 2016 The Westman Islands are the site of one of Iceland's three main puffin colonies. 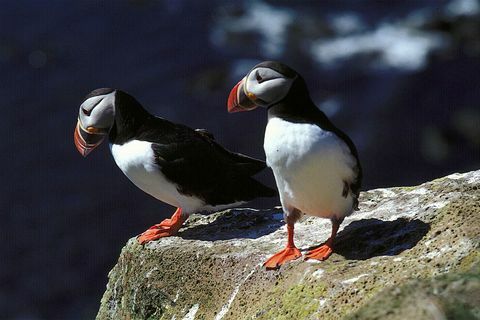 The majority of the world's population of puffins breeds in Iceland but the past decade has seen a significant decline. 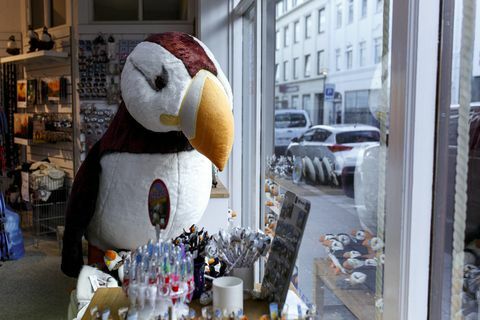 30 Apr 2016 Tourist shops or what Icelanders refer to as "puffin shops" are constantly on the increase in Reykjavik. 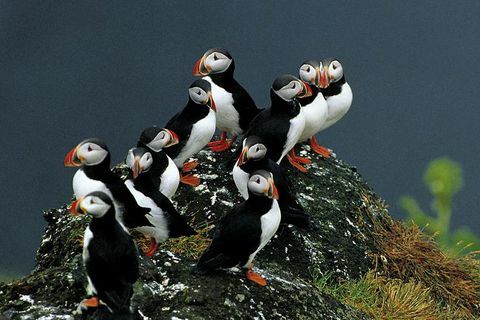 Our unscientific research shows that puffins prey on innocent tourists in over 21 shops in the city centre. 27 Mar 2016 Welcome to the third in our four-part Ea­ster series present­ing and celebrat­ing some of the is­lands which decorate the ed­ges of this is­land nati­on. Our next dest­inati­on is Flatey. 25 Mar 2016 This is the first of a four-part Easter series presenting and celebrating some of the islands which decorate the edges of this island nation. 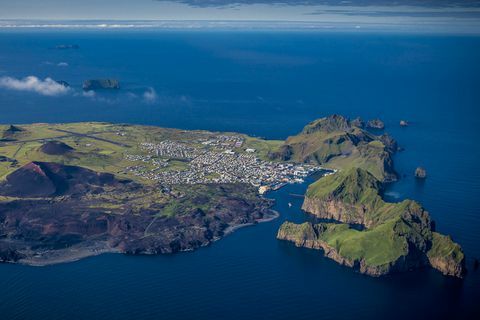 Our first destination is Vestmannaeyjar. 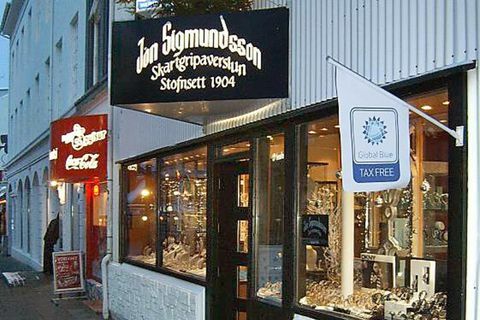 10 Mar 2016 Jón Sigmundsson jewellers was set up in 1904, and has served Reykjavik customers at two different locations on the street for over a century. 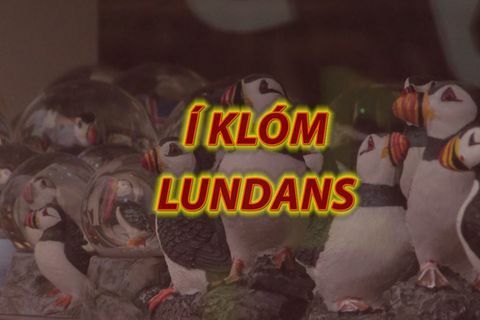 16 Dec 2015 In the running are ten words which are considered to reflect social discourse in Iceland over the past year.